Rajinikanth Film Review From Raja Chinna Roja. Raja Chinna Roja Movie. 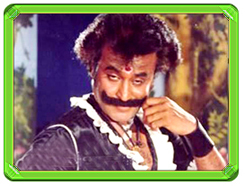 Rajini Film Raja Chinna Roja. Rajinikanth Raja Chinna Roja movie. www.rajinikanth.com. manager for the house where there are large number of children and took care to manage and guide them in the right direction. Along with, Chinni Jayanth he did a good comic role also. Shalini (Ajith’s wife) also played a role in this movie.The music was composed by Chandra Bose and the song Superstar Yaarunu Keetta was an exceptional attempt.